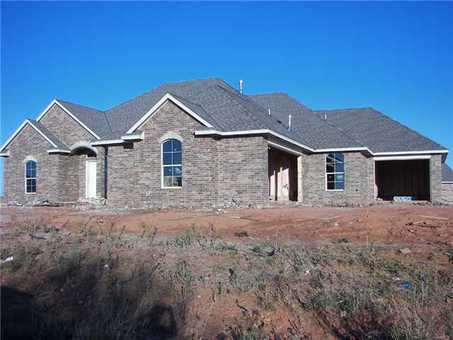 BEAUTIFUL NEW CONSTRUCTION 3BDRM/2.5BA/3CAR GARAGE 2299-SF MCCLAIN COUNTY NEWCASTLE PUBLIC SCHOOLS THIS BEAUTIFUL HOME IS CONVENIENTLY LOCATED OFF OF HWY 62 & HWY 9, ON A LARGE CORNER LOT NEAR THE TOP OF A HILL. 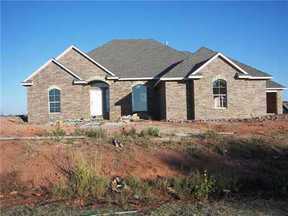 IT HAS A BEAUTIFUL DESIGN AND A GREAT FLOOR PLAN WITH 10' CEILINGS IN LIVING AREAS. A FANTASTIC KITCHEN WITH A LARGE ISLAND AND WALK IN PANTRY. MASTER BEDROOM HAS A WALK AROUND CLOSET WITH ACCESS TO BACK COVERED PATIO. VERY ENERGY EFFICIENT HOME WITH ALL THE BELLS AND WHISTLES.